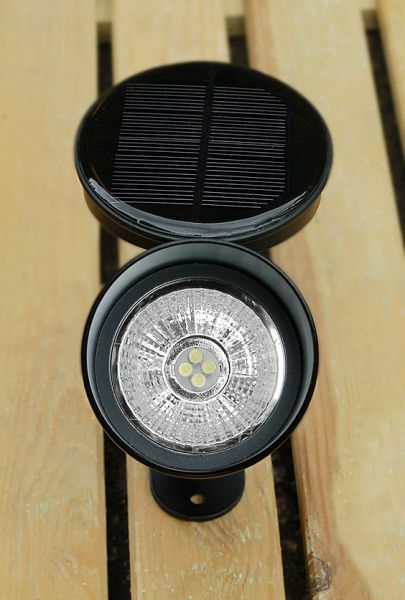 This Set of 4 Solar Spotlights with integrated, adjustable Solar Panels exceeds expectations. 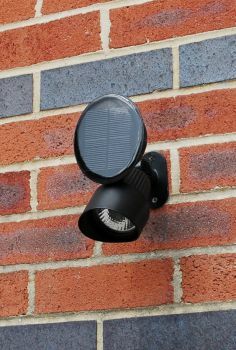 Even on sustained dull british days, the PowerLED Solar Lights continue to illuminate with almost unrivalled consistency. The high quality die cast metal spotlights each feature an independently adjustable solar panel and is incredibly simple to install. 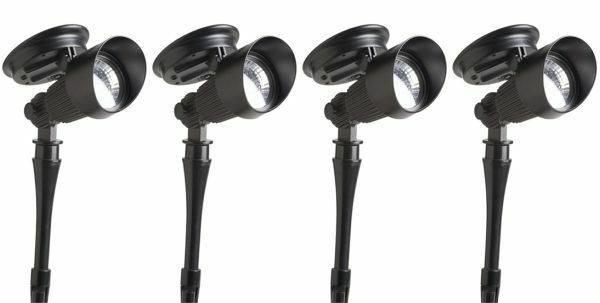 Ideal for illuminating garden features or mounting as deck or patio spotlights. • Next Generation Solar technology - designed for UK WEATHER CONDITIONS & WINTER USE! • Extremely simple to install and operate (no electrician required!). 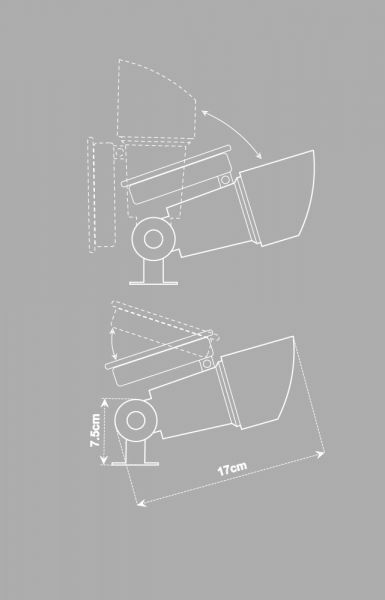 • Die Cast Aluminium spotlight construction. 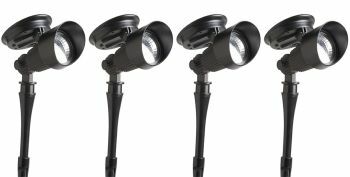 • Capable of illuminating up to 8 metres (26ft) distance per spotlight. • Adjustable, high performance Solar Panel. • Consistent performance, even after several days of dull weather. 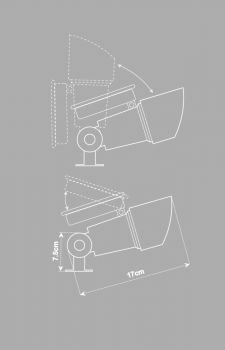 • 4 Super Bright White LED's per Spotlight - three times more powerful than standard Solar LED spotlights. • Supplied with deck mounting and groundspike mounting brackets and fixings. • Dawn / Dusk sensor integrated into spotlight. • 2 x 1.2V AA 1000mAh rechargeable batteries supplied with each spotlight. • PowerLED Spotlights can be positioned anywhere outside, giving you the freedom to light virtually any area without installation costs.